According to the curator, these archeological sites have existed over 2000 years ago, and the people of Nok lived in the caves. 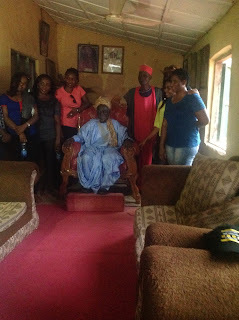 The same day we arrived at Nok, Kaduna State after the museum and brief history, we passed by the traditional rulers palace for some permission and blessings . He was very welcoming, took photos with us and prayed with us. 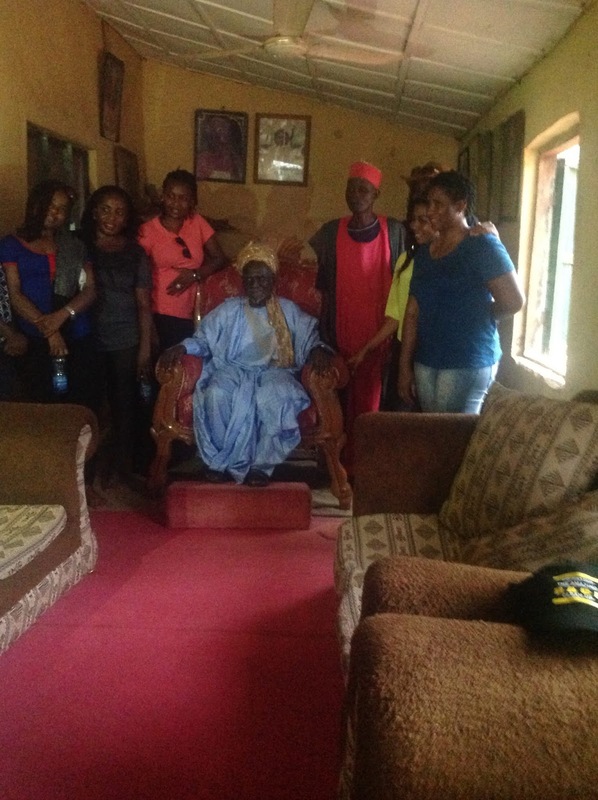 That is something to bear in mind when you want to visit these places, pass through the palace to see the traditional ruler. We then headed out to see the caves, one of the earliest dwelling place of the early inhabitants was found on the mountain just directly behind the Nok Museum. And it has the following places listed below still in existence. Welfare/Maternity Cave: This was used as a hospital during illnesses and and child birth. 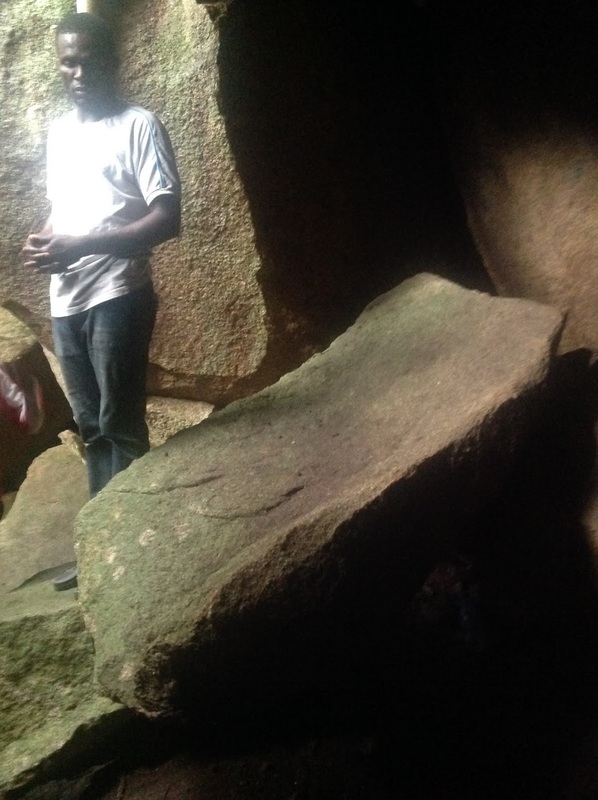 Rock slabs were used as the maternity or welfare bed and are still available in the cave. 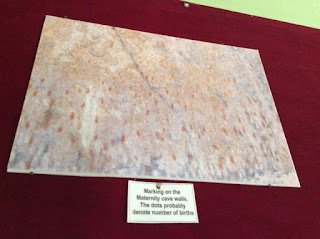 There still exist a pictograph of red dots on the wall of the cave and they were used to denote the total number of child births (purple dots for female and white dots for male). 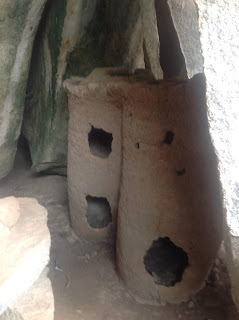 Barn Cave: This was used as food reserves to store grains and other food items in case of drought. The Chief Security Officer was said to be responsible for securing such items. His bed can be seen at a corner by the entrance to the cave. 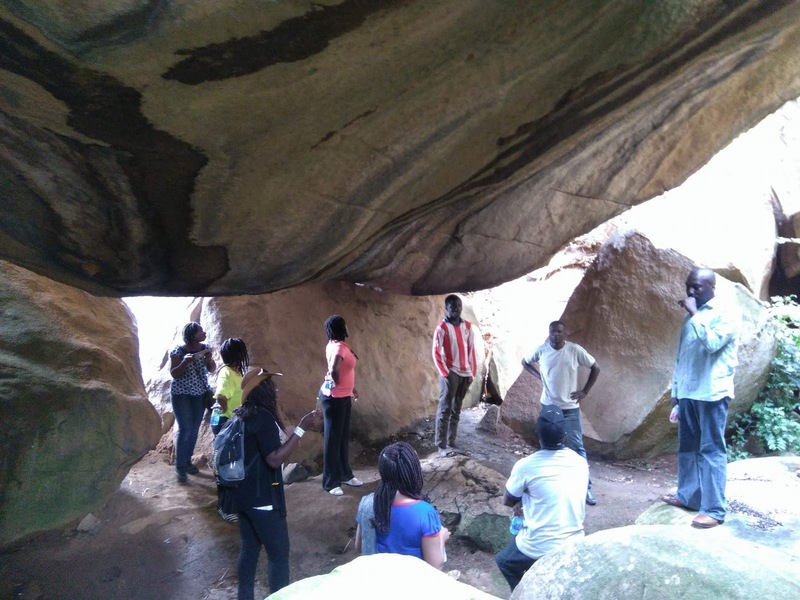 Rock Shelter Cave: This was used as the Supreme Court of the early inhabitants. 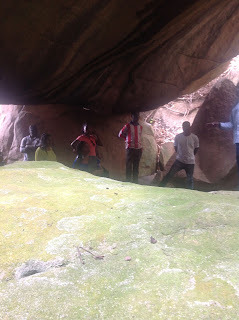 Decision making were done in this cave. 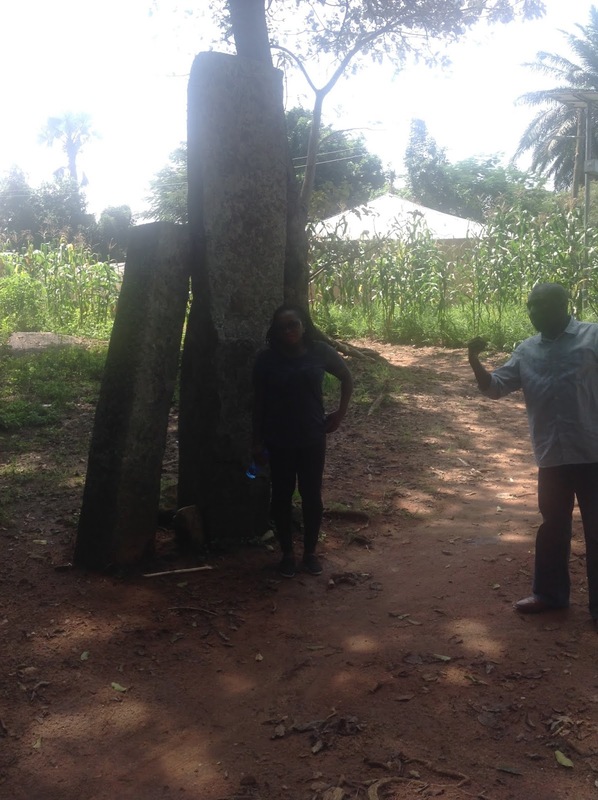 Open Court: This was used as shrine where traditional practices such as reincarnation took place. Also all disputes were settled in the court.There are also monoliths in the court used for swearing during court sessions. 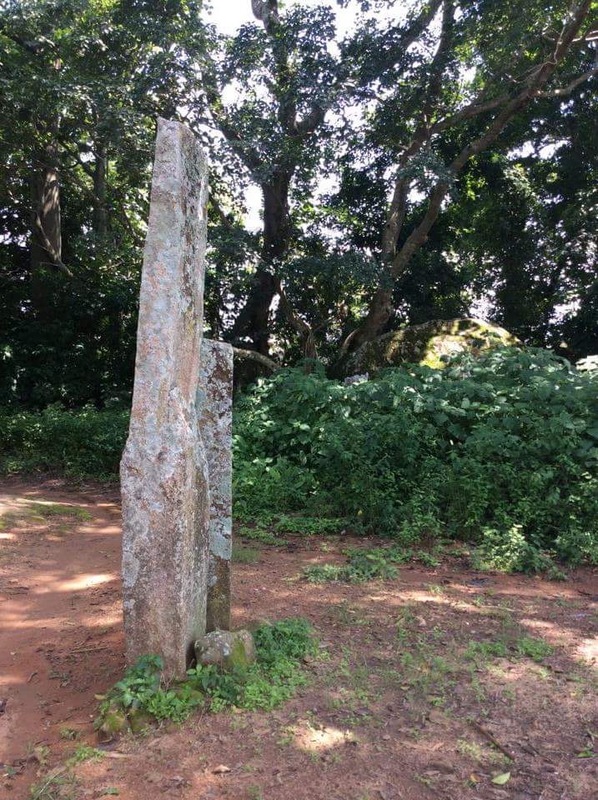 The short monolith is where the female stands and the longer one represented the male. 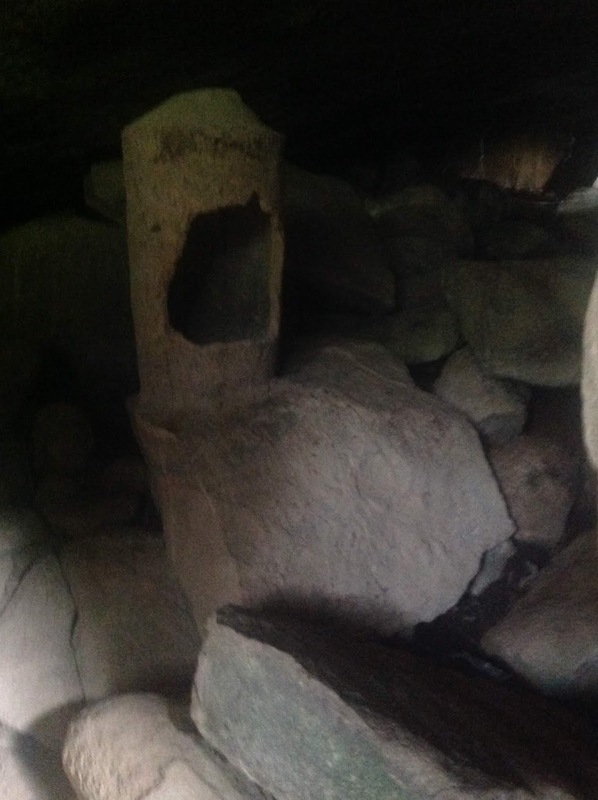 Hiding Cave: This was used to for hiding during wars from their enemies. From the outside you wouldn't know there was a cave. 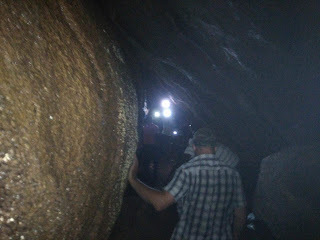 Inside the cave is completely dark, no light comes in, you will have to use a flashlight to be able to see. We had to use flashlights and phone flashlights . 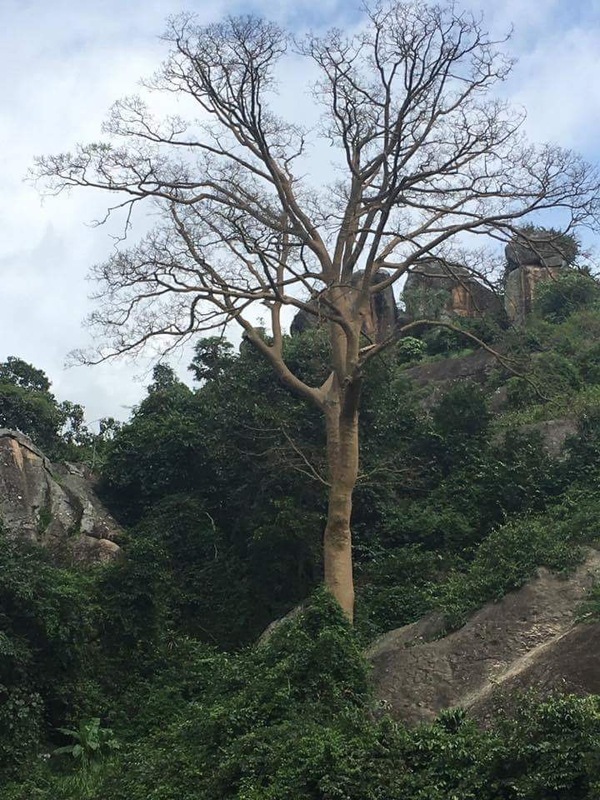 Tree of Life:This tree is said to be only surviving specie of its kind in Africa. It is said not to shed its leaves and no living thing can found resting/nesting on the tree. The early inhabitants had a group of men who could communicate with the tree. Anytime the tree needed attention, it would radiate light at night. The tree was able to forsee the future and relay it to the group of men. When women had fertility issues, a portion was made for them from the root of the tree to cure them. Things to bear in mind when planning a trip to Southern Kaduna. Call the museum ahead of time to ensure appropriate arrangement are made. You will need a guide to take you to the caves. 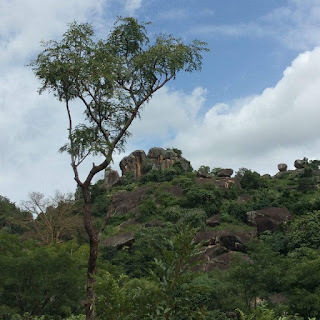 If you want to hike Kagoro hills, you will need to spend more than one day. Make arrangements for accommodation. There are affordable hotels in Kafanchan. Or if you would rather camp, then come with your camping gears. Come along with your camp gas and food stuff to make your own food, or eat in the restaurants. This is another great tourist attraction, hopefully the government will invest in this. 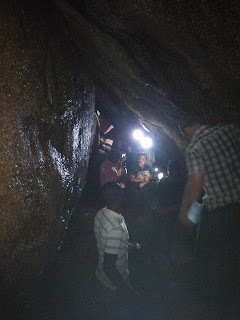 It will also be nice in imbibe this in the secondary school curriculum and bring students here on a field trip. Look out for the next post on the hike to Kagoro Hills.